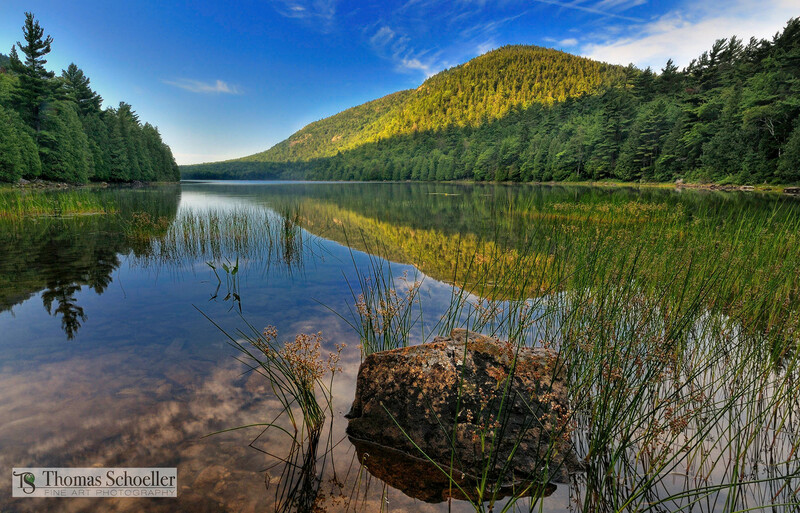 One of Maine's most precious scenic lakes is Bubbles pond, located in Acadia National Park. The tranquility of the early evening conditions results in a mirror-like smooth pond surface. Fading sunlight begins to take on a warm hue and far less contrast, allowing the eye to perceive the wonderful details now revealed. Bubbles pond now transforms into one of nature's most amazing mirrors! Note: Watermarks visible while viewing this website will never be transferred to prints purchased.